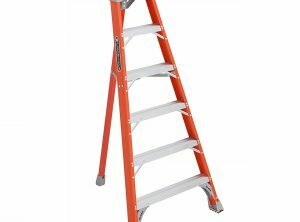 Fiberglass Tripod Ladders are used by professionals to get access to areas where a stepladder would not reach. All fiberglass tripod ladders have electrically non-conductive rails for greater safety when working near electricity. Meets or exceeds OSHA & ANSI requirements. One-year warranty against manufacturer defect.